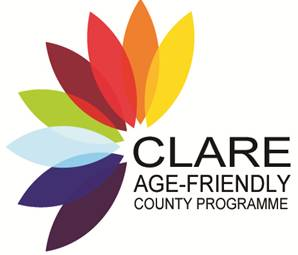 Following a County-wide consultation process the first Clare Age Friendly Strategy was launched from 2013-2016. The Alliance Board, Implementation Team and Older People’s Council were all established with their own terms of reference. •	The Local Authority incorporated Age Friendly Planning principals into key documents and strategies such as County Development and Local Area Plans. •	The Local Authority has worked with Voluntary Housing Associations to provide sheltered housing developments for older people. •	The Clare Bus service fleet and schedule has improved and increased to more rural areas. Travel is free to holders of free travel passes over age 66. •	The Gardaí (Police force) have increased the number of Community alert and Neighbourhood Watch Programs as well as piloting a ‘Text alert’ scheme. •	The contribution of the county’s older musicians and artists has been celebrated. •	A Reminiscence Therapy project was piloted through the library service in conjunction with the Health Service, which was particularly beneficial among people with diminished memory of recent events. •	Clare Sports Partnership provided a ‘Go For Life’ sports programme for older people. •	The Health Service has adopted a Community Health Needs Assessment approach to identify and respond to older people’s needs. •	Basic IT skills training has been provided to socially excluded older people and carers. •	The library service has hosted; a Cinema club where old films were screened, various art & craft workshops; a story telling initiative where well-known local story-tellers shared their stories with school children. •	Creating an Age Friendly town. This template can then be replicated in other towns within the County. •	Creating an Age Friendly rural area. This template can then be replicated in other rural areas within the County. •	Establishing a Business of Ageing Forum with local businesses.